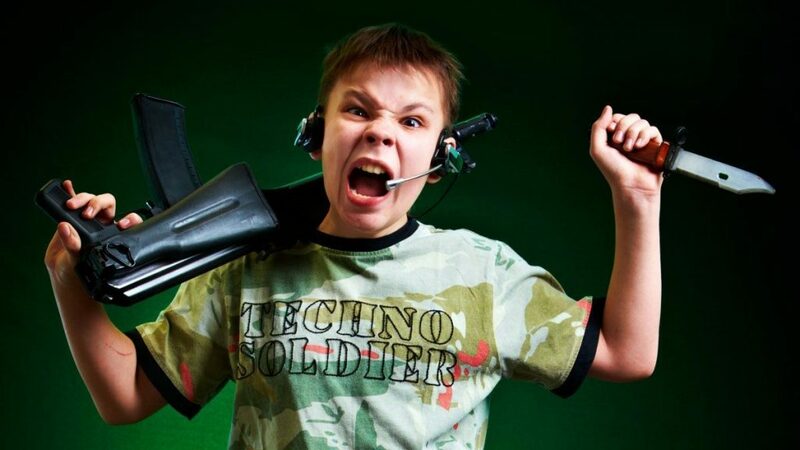 Do violent video games really make children more aggressive? A few days ago, a review of 300 studies on violent video games and children’s behavior was released by the APA Task Force on Violent Media. The report concludes that violent video games present a “risk factor” for heightened aggression in children. It also calls for a revamping of the video game rating system — they want this system to take more notice of violence and take into consideration the players’ age and psychological development. However, despite claiming the review “demonstrates” a link between playing violent video games and aggression, the authors acknowledged that some studies were inconsistent and that present research is insufficient to establish whether this can lead to criminal violence or delinquency. The report notes that “no single risk factor consistently leads a person to act aggressively or violently. Rather, it is the accumulation of risk factors that tends to lead to aggressive or violent behavior.” Playing violent video games is one such risk factor, the report says. The American Psychological Association (APA) Task Force was established in January 2013 with the purpose of systematically scouring scientific literature for any link (or lack thereof) between playing video games and antisocial behavior. This decision was made after the December 2012 mass shooting at Sandy Hook Elementary School in Newtown, Connecticut, in which 20 students and six adult staff members were killed. The shooter, 20-year-old Adam Lanza, spent most of his time playing both violent and non-video games alone in his home. Some of his favorite video games include Super Mario Bros and Dance Dance Revolution. Somewhere along the way, his liking of video games was associated with his decision to go on a rampage which saw dozens of children killed or maimed. “I think there’s a question as to whether he would have driven in his mother’s car in the first place if he didn’t have access to a weapon that he saw in video games that gave him a false sense of courage about what he could do that day,” Connecticut Senator Christopher Murphy stated in January 2013, blaming both lax gun control and violent video games — a dreadful combo in his view. Video games and science work well together. If you agree — join our community! “Scientists have investigated the use of violent video games for more than two decades but to date, there is very limited research addressing whether violent videogames cause people to commit acts of criminal violence. “However, the link between violence in video games and increased aggression in players is one of the most studied and best established in the field. Some 300 or so studies conducted between 2005 and 2013, including four meta-analyses (reviews of other studies which attempt to spot a pattern) were used in the APA’s report. The report is thus one huge analysis which attempts to spot a general pattern of aggression among the swath of literature. 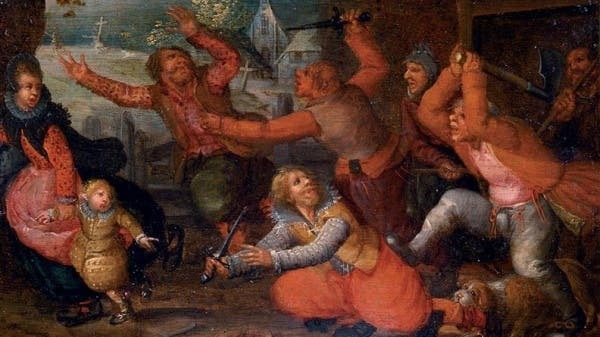 In this case, aggression is generally defined as the tendency to inflict harm on other people. Some of the methods used by the various studies covered by the APA are experimental and/or anecdotal. For instance, some may make use of questionnaires that gauge aggressive tendencies among participants shortly after playing a violent video game like Grand Theft Auto or Mortal Kombat. Other studies use various experimental tests like filling in the blanks (“A driver crashes into Bob’s car. Bob gets out of the car and…”), noise tests (participants are asked to press a button that delivers a terrible noise to another person in a distant room. The longer you press the button, the greater the intensity), water test (participants put their hands in painfully cold water and keep their hands in for as long as the previous participant had set) or the hot sauce test (a participant is asked to spray hot sauce on the food of another volunteer, and is then evaluated on how spicy the food is). “While there is some variation among the individual studies, a strong and consistent general pattern has emerged from many years of research that provides confidence in our general conclusions,” said Dr. Appelbaum. As expected, pro-gaming associations and figures in the industry have dismissed the findings and criticized the methodology. One major fault is that most of the studies identified by the meta-analysis looked at the short-term effects of playing video games, not long-term. That being said, competition itself — something inherent in all sports, be them virtual or otherwise — might lead to aggressive behavior shortly after playing video games. Previously, ZME Science reported that video game aggression can stem from frustration, not violence. The study found failure to master a game, getting stuck or losing over and over again led to frustration and aggression, regardless of whether the game was violent or not. Writing for Kotaku, Jason Schreier mentions an interesting 2013 study by Brock University researchers. This study teased out the effects of violent competitive games, violent non-competitive games, non-violent competitive games, and non-violent non-competitive games. Another critique is that many of the studies listed in the meta-analysis identify a correlation, without causational evidence to back them up. The same correlation can be made, only backward. For instance, the high sales of violent video games coincide with a decrease in violent youth activity, according to research statistics shared in The New York Times. Case in point: these sort of studies don’t really amount to anything. 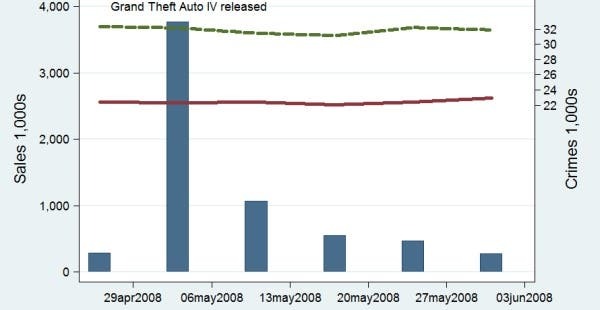 A correlation between a drop in violent crime by youths, and the rise in popularity of violent videogames, as reported by the Social Science Research Network. However, this “study” is as useless as some of the research included by the APA in its meta-analysis. In response to the report, over 200 psychology scholars have voiced their concerns. One of these scholars, Stetson University psychology professor Chris Ferguson, wrote an open letter to the APA, criticizing the task force as being biased. Ferguson also points out how all seven task force members are aged over 50, which bears significance in this context. This isn’t the first time the APA has come under fire. In 2013, a group of 228 academics, researchers and psychologists called on the American Psychological Association to use an “objective scientific process”, referring to a landmark policy statement issued in 2005 on media and violence. Playing video games improves spatial orientation, memory formation and strategic planning. So what are parents to make of all this mess? The idea that children are highly impressionable and may act upon what they see and experience playing a violent video game is rooted in logical thinking. Up until now, however, we’ve yet to come across any meaningful evidence that suggests that violent video games promote excessive aggression. As mentioned earlier, any video game, sport or challenging task will invariably cause temporary aggressive thought and potential behavior issues due to frustration, let alone criminal behavior. Yes, it is true that those responsible for school shootings in America have been players of video games. However, since 90% of boys and 40% of girls play video games, it would be out of place if these shooters didn’t play video games. Blaming video games is wasted effort and just a vain attempt at finding a scapegoat when a particularly heinous act of violence occurs. It’s bad parenting, too. You can’t blame really violent video games if your kid goes overboard and starts hitting his sister during breakfast. That’s on you.